Krakow is Poland’s second largest city. It has the honor of being the countries largest tourist destination! The Krakow live cam let’s you take a peek in real time and see what is happening in this vibrant city! The city is home to seven universities and twenty other institutions of higher learning. It is the epicenter of science and research in Poland. Located in Southern Poland on the banks of the Vistula River. The hilly terrain gives this beautiful city character. One of the largest hills stands 384 meters above sea level. There are hundreds of beautiful examples of medieval architecture. The city has been around for a long time. 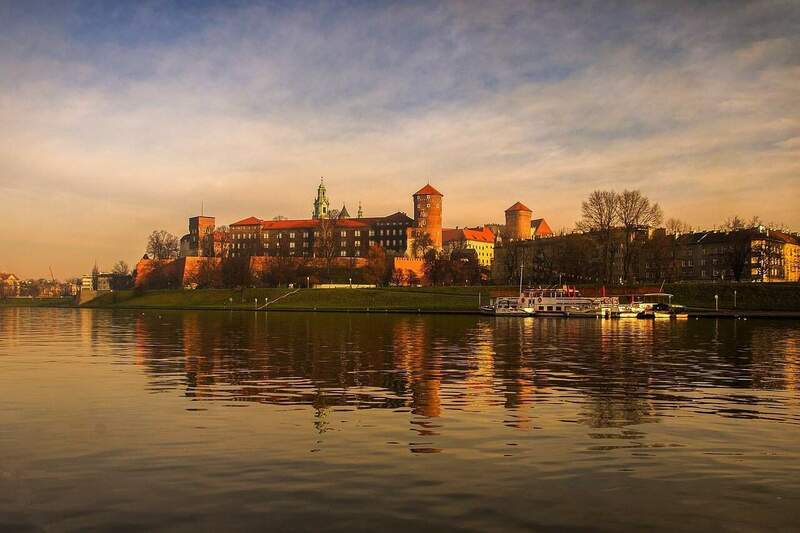 There is evidence that Krakow was a major city since around 6000 BC. It has been continuously occupied by a population since the monolithic era. To say that this city is rich in history is an understatement. There is something constantly happening in Krakow. Music is a big part of the life in this city. Concerts for jazz, pop and classical music are a feature in Krakow. The sights of Krakow are simply stunning, the Poland webcam allows you to soak in the sights right from home. Population: The population in Krakow is approximately 1.5 million with the majority of the population Polish. There is a growing immigrant population of mainly Brits. Main Attractions: There are 36 museums in Krakow that celebrate everything from national history to modern art and more. There are hundreds of restaurants, cafes and other eateries. It has nightclubs, amazing architecture, cathedrals, palaces and more.